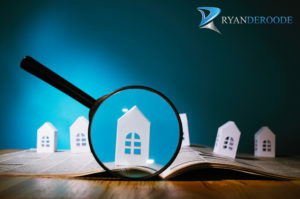 After wandering through an endless stream of property listings, open houses, and tours, one property stands out, but there’s a nagging feeling hanging around. Is it the right one? How does someone know when they’ve found the perfect house to buy? Unfortunately, there are no litmus tests that can provide a definite answer. However, there are some questions buyers can answer to make the decision a little easier. When house shopping, buyers usually have a checklist of things they’re looking for. Some of these items, such as the number of rooms and the amount of space, might be non-negotiable. Other features like trees in the backyard, a garage, or a pool would be nice to have, but maybe they aren’t that important. It’s always possible to build or renovate, to customize a property of course, but it may be a while until these major renovations can happen. If a property misses the mark somehow, is it something that can be dealt with? If the answer is yes, it might be time to make an offer. Even a dream home can become a nightmare, if it’s not affordable. Besides, if the buyer must work three jobs and sleep in their car to make the payments, they won’t get to enjoy the house they’re struggling to pay for. Therefore, make sure the property costs will be manageable. The right house will be inspiring to a buyer. As soon as they’re through the door, they’ll already be imagining the colors they’ll put on the walls and where all the furniture will go. They can see themselves living in the property, and can already imagine the many happy memories they’ll make there. Some might even be looking forward to the maintenance, yard work, and other domestic tasks the property will need. Does the property in mind inspire thoughts of the future? If so, the house in question just might be the one. Sometimes, the gut knows what someone wants, before their brain does. They instantly feel comfortable in the house. They find themselves showing it to everyone in their circle, and sharing pictures of every room, like a proud parent with a newborn. When it’s the right house, some buyers will even get possessive and protective. They will explain away little flaws. The thought of someone else putting in an offer on the property, makes them want to block off all entrances for any future showings! The area and neighborhood need to be a great fit as well. The commute to work should be doable. The neighborhood should feel right, and the neighbors shouldn’t give the buyer the urge to build a bigger fence, or put in security systems! Does the area feel good and does the property prompt protectiveness? If there are unexplainable urges, it might be time to make it “your home”! After seeing the right house, buyers won’t want to keep looking. All the other homes they’ve seen, won’t stack up to the one they’ve got their eye on. Walking away might even make them feel nervous, anxious, or excited. They look forward to going back, and feel like they can’t wait to move in. How much would losing the property bother you? If the idea strikes fear, talk to the agent about putting in an offer. The right house needs to fit the buyer’s budget, as well as their lifestyle, but it’s more than that. The right home will make a buyer eager and excited about the future, and the many possibilities. Once these feelings show up, it’s time to put in an offer, and make those dream come true. As a realtor, my job is to help you make a smart, responsible decision, based on your lifestyle, needs, and budget. Contact me if you’re considering beginning your new home journey!